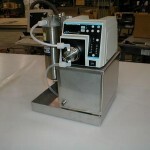 D.L. 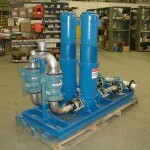 Thurrott, Inc. represents industry’s leading pump manufacturers. These technically advanced products, coupled with D.L. 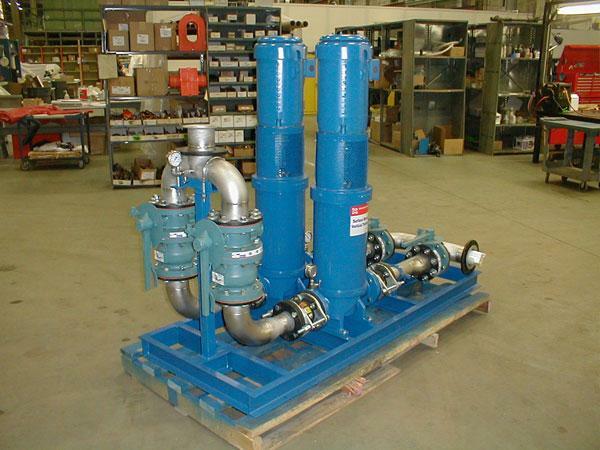 Thurrott’s specialized pump knowledge, ensure that our customers receive the optimal pumping solution each and every time. 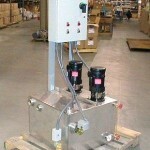 Couple this with our design, engineering, and application expertise and we can provide a turn key system. 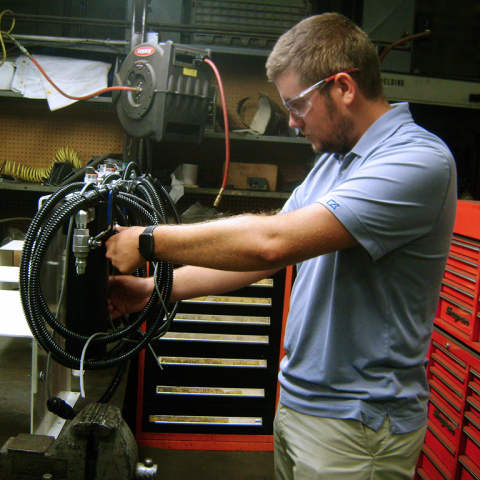 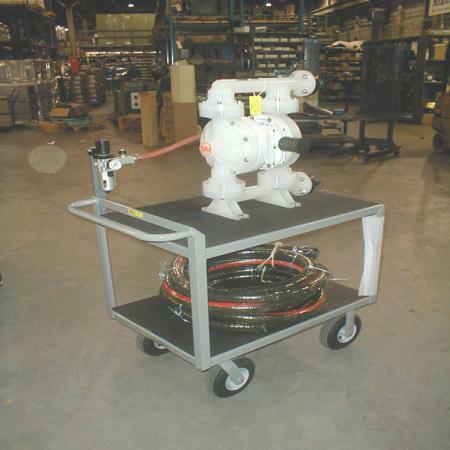 Work with us to provide equipment as simple as a pump mounted on a portable cart or as advanced as one with multiple pumps, motors, variable speed drives, sensors and safeties. 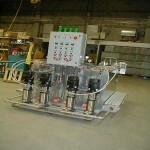 These systems are assembled and tested in our facility and then shipped to you. 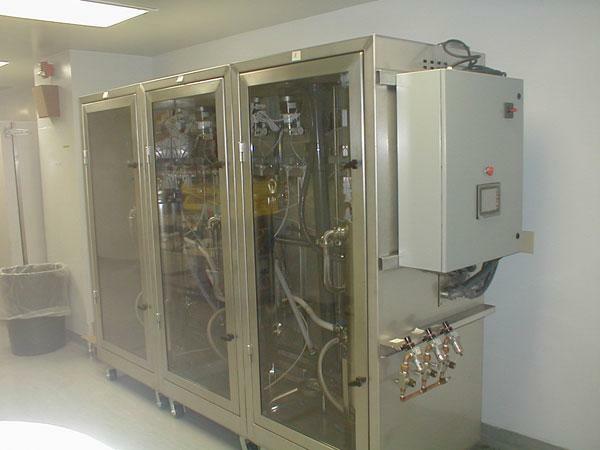 We provide systems for high end sanitary as well as industrial transfer applications. 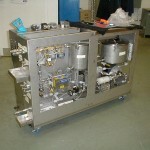 D.L. 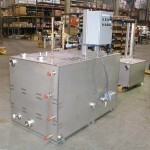 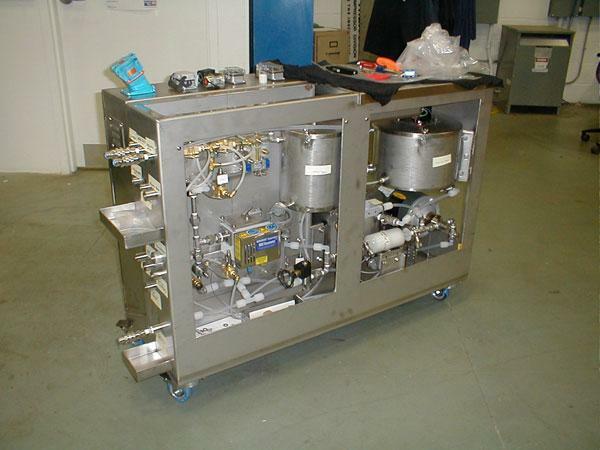 Thurrott Air Products has complete systems design and fabrication capabilities. 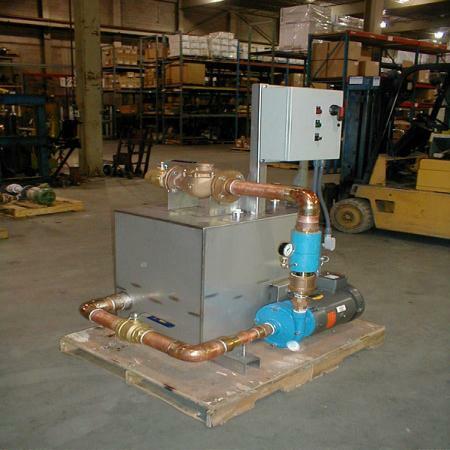 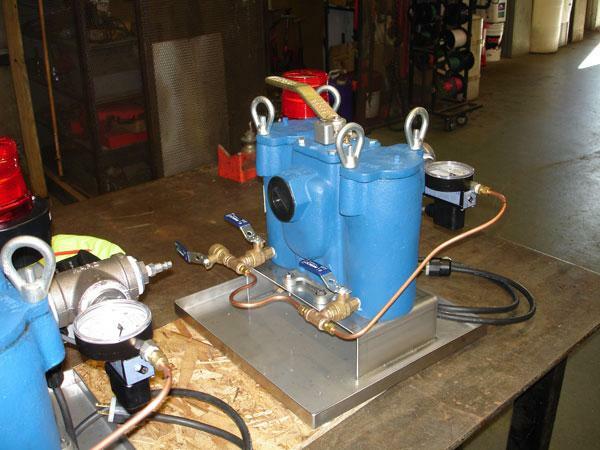 We can design and fabricate complete compressed air skid packages which include air compressors, receivers and air dryers assembled on a common steel frame. 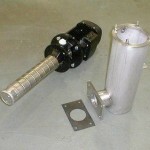 All of the components are pre-piped with single point termination connections. 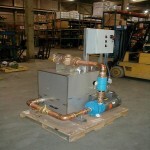 These packages have resulted in significant savings to our customers in terms of reduced installation costs. 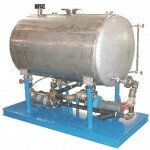 Supplied in 25, 50 and 100 gallon as a standard design. 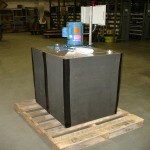 Custom designed and replaces the obsolete systems of the past. 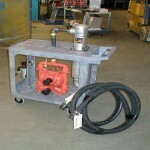 Customized to fit into an existing foot print. 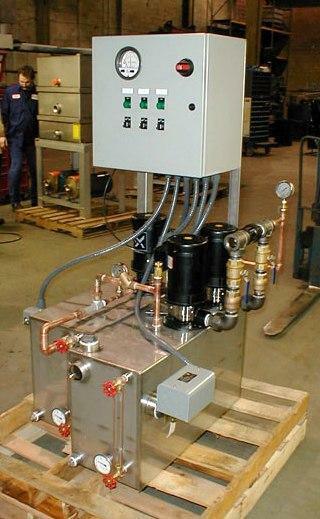 Custom system. 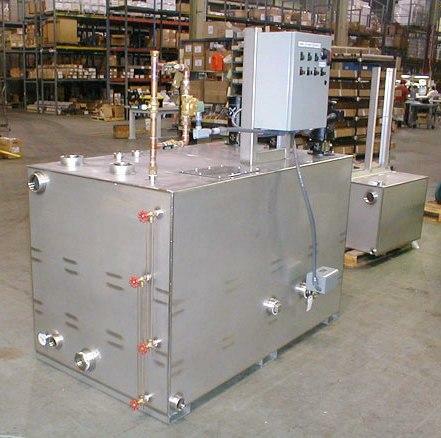 High volume and high temperature. 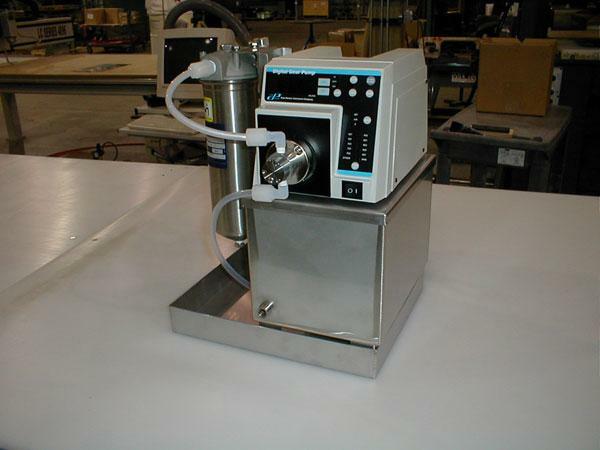 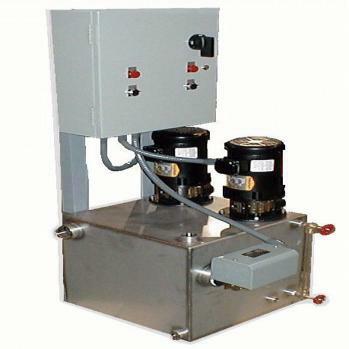 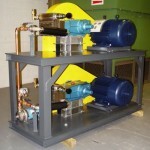 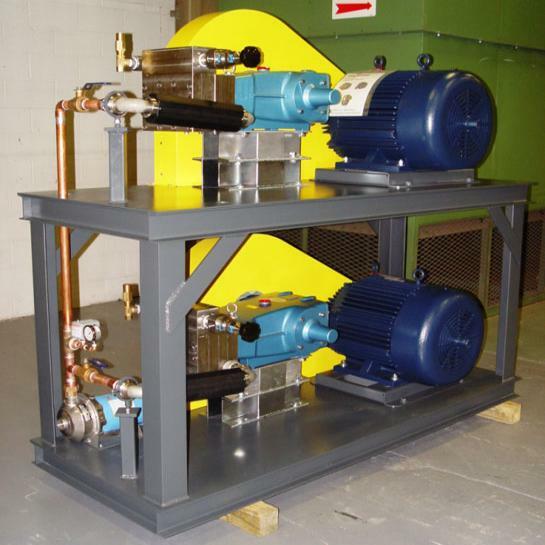 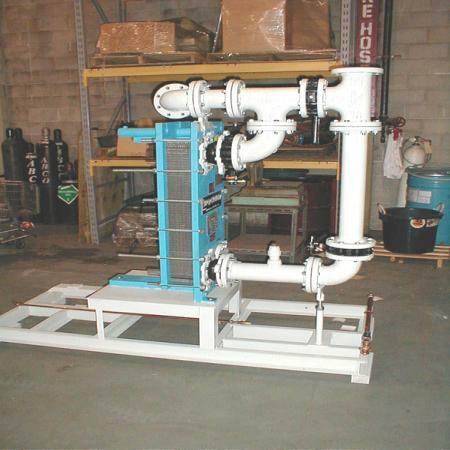 Converts the square flange side mounted condensate pumps to an immersion type pump. 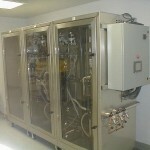 System to clean solvent returned from scrubber. 1 ½” Wilden pump on plastic cart. 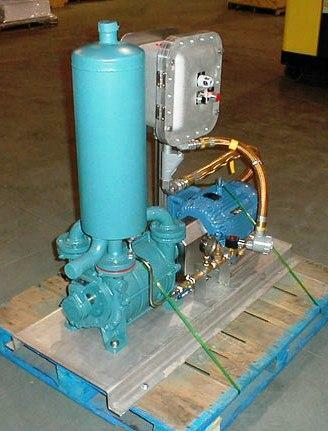 Barnant variable speed hose pump with filter. 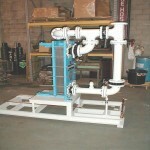 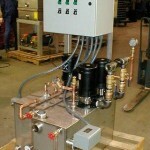 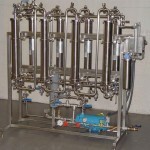 Plate and frame heat exchanger package. 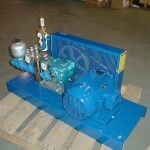 CAT pump with motor and belt drive. 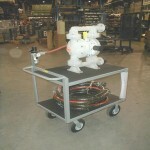 2500 psi duplex package for lab testing. 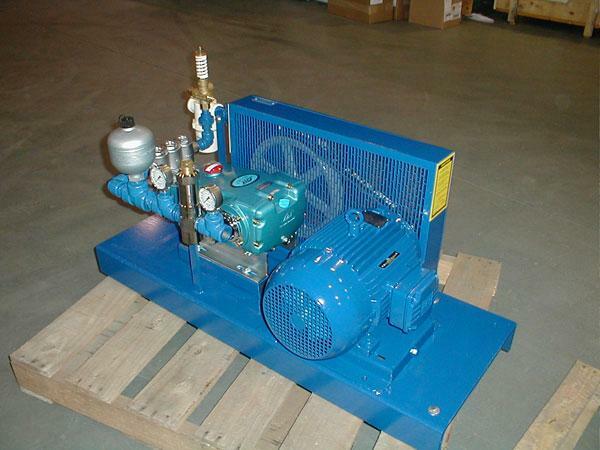 Vector hose pump with 24V DC motor for outdoor operation. 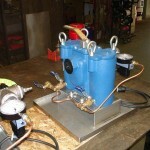 Goulds pump with tank and water meter to report water usage. 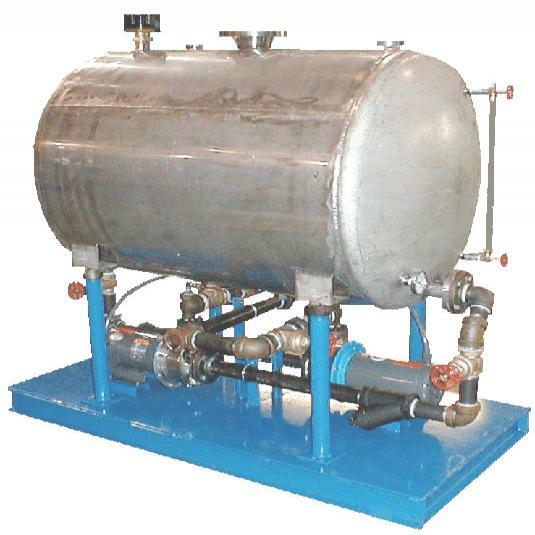 Insulated storage tank for chill water return. 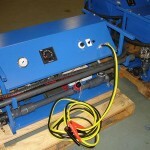 Aquaculture system for growing algae and metering food supply. 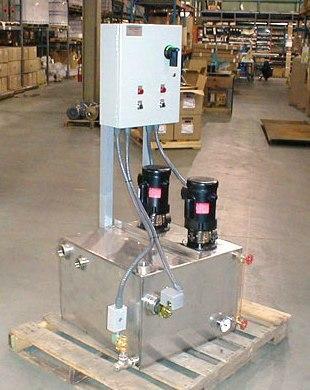 Duplex basket filter set with alarm and remote notification. 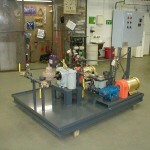 Vacuum system pulling explosive gases from process. Ex-proof electrical components. 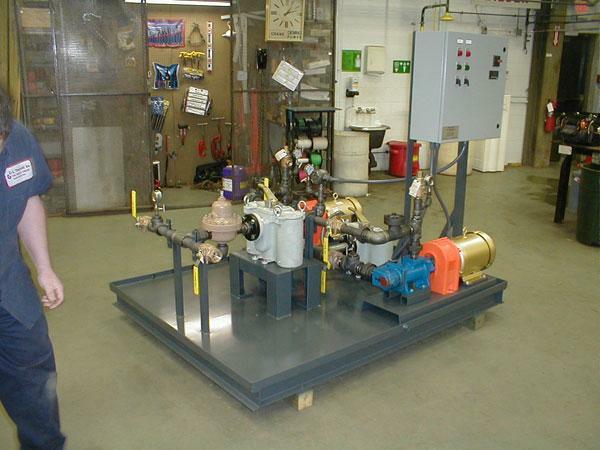 Roper large oil pump skid to feed high pressure process boiler at manufacturing facility. 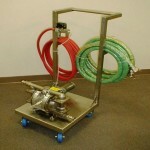 1″ Wilden pump on stainless cart with hose. 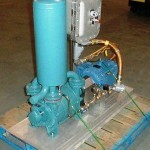 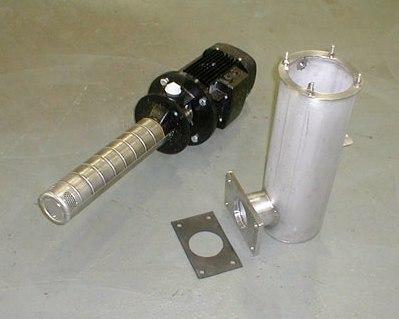 1″ Wilden pump on cart with bag filter. 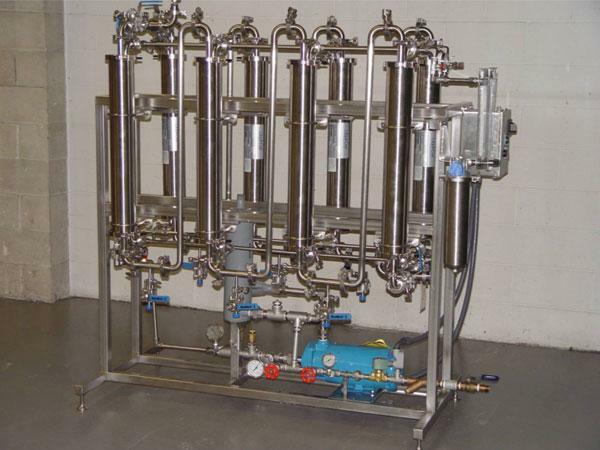 System removes oxygen from water used in beer brewing process. 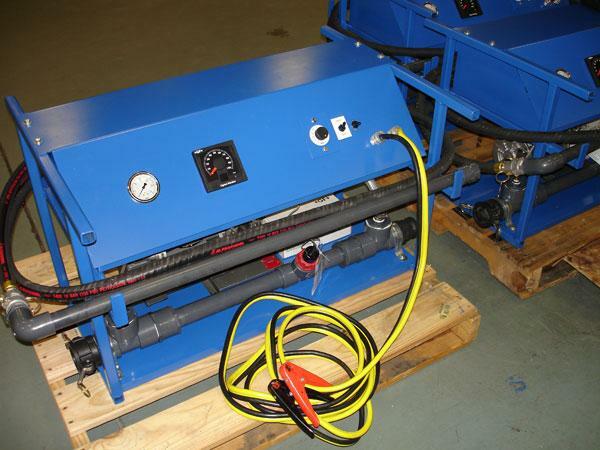 600 gallon system for automatic golf course irrigation. 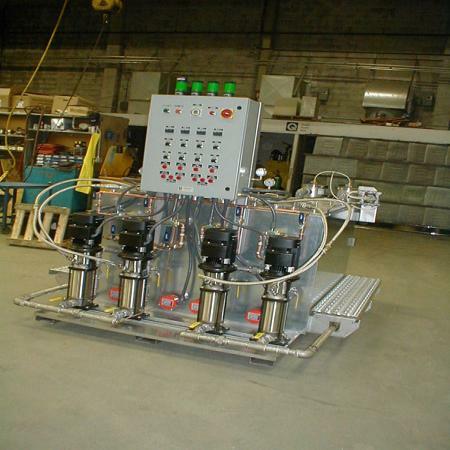 System monitors the viscosity of the media and automatically adjusts the mix to maintain consistent fluid properties for even coverage. 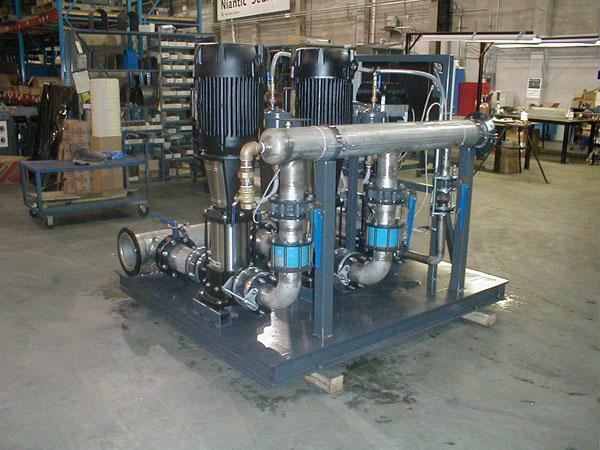 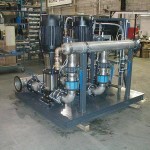 Goulds vertical turbine pumps in can for plant process water distribution.